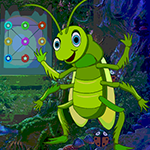 G4K Tree House Escape Game is another point and click room escape game Developed by Games 4 King.Com Welcome back, escapers! Story of this game , Assume that your boss is being kidnapped and locked in a vault in a tree house. The kidnapper placed a bomb inside the vault which automatically explodes when someone tries to open the vault. And they asked some ransom for releasing your boss. Somehow you received the information about your boss’s current location. So search for your boss in the location and use your skills for collecting necessary items to defuse the vault bomb to escape your boss from the kidnapper.